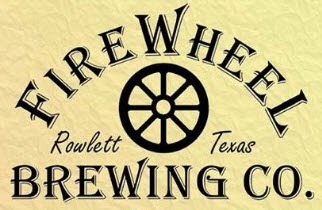 In yet another sign of the ever-changing landscape of craft beer in North Texas, the FireWheel Brewing Company has taken out a lease on a new facility less than a mile from their current address in Rowlett. Owner Brad Perkinson picked up the keys to the building at 3313 Enterprise Drive on Monday, the same day he placed an order for a new 15-barrel brewhouse and a set of 30-barrel fermentation tanks. It's all part of a four-to-six month expansion plan, which will see the brewery transition from a 2500 square foot space to one over twice that size at around 6000 square feet. Perkinson will do much of the work on the new site himself, something made possible by the recent hire of Nate Breitzman, the brewery's first-ever employee. Breitzman, who like Perkinson is a self-taught homebrewer, joins FireWheel after having been a volunteer at the brewery for some time. Working as the assistant brewer, he'll keep the production line running at the soon-to-be former location at Lawing Lane, freeing up Perkinson to focus on construction and installation of the new equipment. While Perkinson acknowledges the coming upgrades will allow him ramp up production of StrIPA and Midnight Ninja, FireWheel's best-selling brews, he's quick to point out that the overriding "goal of the project is to make a greater variety of high quality, artisan beer." The first step in making that happen, he says, was to take on a private equity investor. The additional cash flow filled the need to acquire more tanks and more space, both of which he hopes will pave the way for the brewery to gain more presence in the marketplace. Once the move to Enterprise is complete, FireWheel will continue to operate as a production brewery. Switching to a brewpub license isn't a consideration, due to city ordinances requiring a certain percentage of food sales for that type of establishment. He does, however, plan to phase out Saturday tours in favor of the taproom/cash bar model now permissible after changes in legislation allowing for on-premise sales. On that note, future visitors to the taproom will have plenty of room to set down their beer, as Perkinson has included a 55 foot service bar in plans for the new layout. As for what you can expect both short and long-term out of the brewery, Perkinson revealed that at least five new beers are in the works for 2014. Up first will be a brew called Liquid Assets, a single-hop golden ale he describes as easy-drinking, but not lacking in body. Currently awaiting label approval, that beer should appear at draft accounts in about a month. Further out, consumers can look forward to the return of the brewery's Smoked Pivo (a beer Perkinson says "tastes a lot like sausage"), as well as an Imperial Cascadian Dark Rye Ale (~10% ABV, brewed with 15% rye malt) and a pair of beers to be released under the name Rowlett Red. A ".22" version of this last beer will be lighter and maltier with an ABV somewhere in the 4-5% range, while a "50-Cal" rendition will be "imperialized" with an amped-up hop profile and an ABV well over 9%.